Both bathrooms are outfitted with anti-slip linoleum flooring. This home at 190 Hindley Ave. built by Dueck Homes in partnership with Simaril Supported Living, Was designed for four adults with special needs. Features include a ground-level entranceway and wide hallways. The kitchen counters have space to allow a wheelchair underneath. The house’s hallways are wider than usual. Its inside doors are three feet wide and swing out rather than in. At first glance, 190 Hindley Ave. looks similar to many newly-built infill homes. A closer look, however, reveals some subtle differences. First of all, there are no front steps; the home was at grade to allow for ground-level access. Next, the windows lining its front wall are huge and positioned lower to the ground than normal. Then there’s the extra-wide foyer with a coat closet featuring wire shelving that, like the windows that illuminate it so beautifully, is lower to the ground than is customary. Cal Dueck of Dueck Homes says there’s a singular purpose behind the design modifications. "This home has been designed to be accessible," he says. "We’ve partnered with Simaril Supported Living to create a home that will allow people with disabilities to live a more normal, enjoyable life. Eventually, people under Simaril’s care will move in to enjoy all it has to offer." Perhaps the most tangible element of the home’s design is that it doesn’t look like a home that’s been designed for assisted living, says Dueck’s partner, Josh Friesen. "We designed it to blend in well with the neighbourhood," he says. "It’s not the accessible home on Hindley Ave. — it’s simply just a nice new home that fits in well with the surrounding area." It’s also a home that will fit in well with the needs of its mobility-challenged residents. To meet their challenges in the most seamless fashion possible, the 1,700-square-foot, four-bedroom, two-bathroom home has been outfitted with extra-wide hallways, three-foot-wide doorways that swing out rather than in and cabinets and countertops set down lower for easy access. 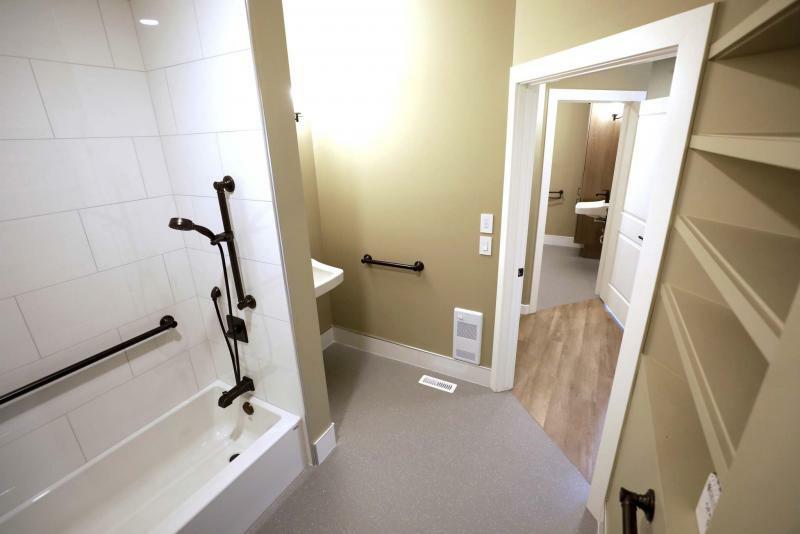 "Light switches have been set down lower and plugs set up higher to make the home more accessible for disabled individuals as well," Dueck says. 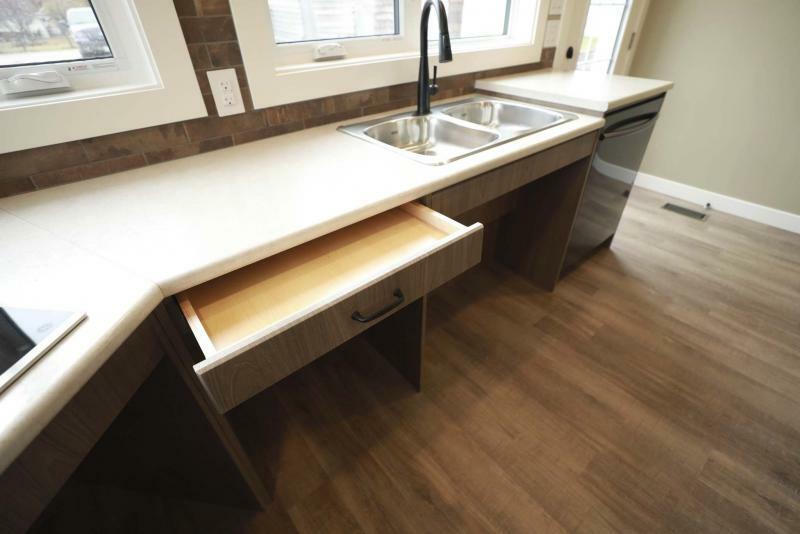 "If you look at the countertops, there are built-in areas for wheelchairs to slide under so people can put pots on the built-in cooktop or grab things off the counter. There are also two microwave nooks set down low, too." He notes that windows in the great room — they’re huge, and plentiful — have also been placed at a lower level. "The idea is not only to bring as much natural light as possible into the home, but to also allow people in wheelchairs a good view of their surroundings. There’s also three entrances into the home — two at the front and one at the back off the kitchen. That, along with a sprinkler system, makes for a safer home that can be exited quickly in the event of an emergency." Likewise, the two bathrooms — one a voluminous space that contains an open, tiled shower area and accessible sink, the other a smaller yet equally accessible space with soaker tub set down low for easy entry — have also been outfitted to be ultra-safe. "Flooring in both bathrooms is a tacky, industrial-grade linoleum that will guard against slipping," Dueck says. 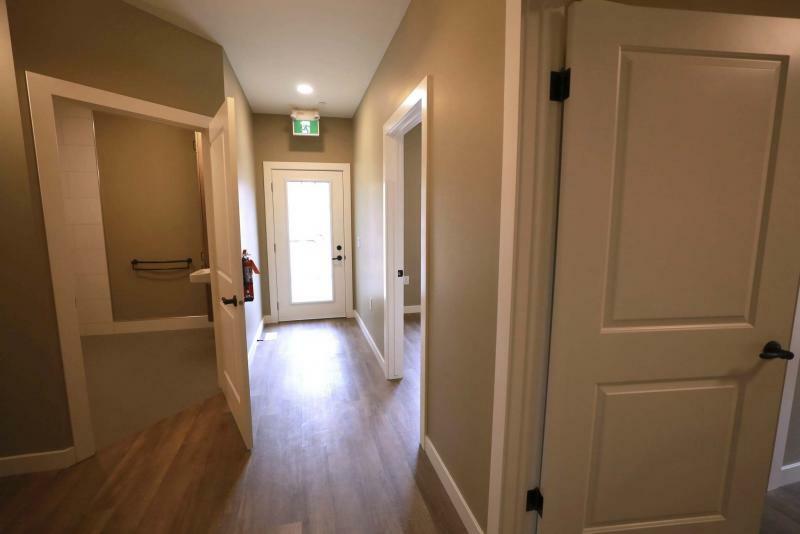 "Three-foot-wide doorways with doors that open out will make it easy to enter and exit the bathrooms, and turning radiuses inside are five feet so wheelchairs can move around freely." All four bedrooms, meanwhile, are oversized with big windows set down low to promote exterior views and let in loads of natural light. Closets are wide and accessible with wire shelving set down low for easy access. The result of all the design modifications is a home that can not only be used as a group home, but one that can be customized to meet the needs of families with disabled members. 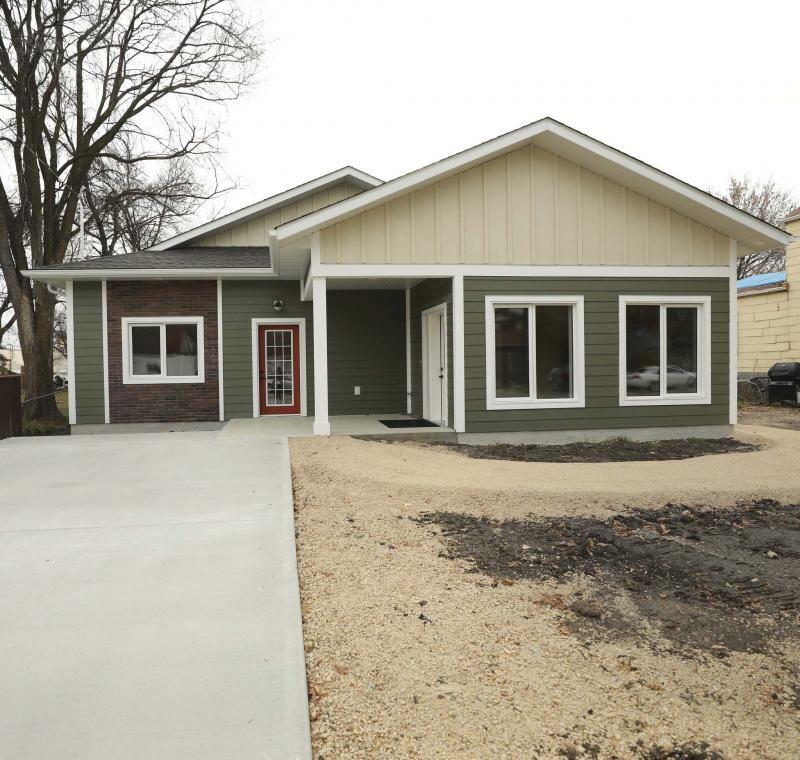 "With lot and all its special design features, this home cost about $600,000 to build," Dueck says, adding that it took eight months to complete. "By building smaller and taking out features such as the sprinklers and custom cabinets, we could build a similar home for significantly less. We’d be happy to find a lot and build a home for a family that has a disabled child, parent or relative." The home — which was built with the help of Brian Everton of Design for All Inc. — is a well-conceived design that’s going to help disabled individuals lead better lives, says Jeff Daly, executive director for Simaril. "It’s going to normalize their lives," he says. "They’re going to love the feel of living in a home that’s been designed to meet their needs — they’re really going to feel good about where they live. I’m excited for people to move in and live here — it’s going to be a great place to call home."